New Construction drywall contractor, Kemper Drywall, has the completed 1,000's of new residential projects in the Oregon and Washington area. Quality is always our first priority, and we maintain a tight schedule. We can take on any size of project; single family in-fill's, sub-divisions, multi-family, apartments, condo's, and custom homes. 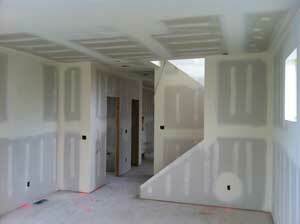 Has Kemper Drywall Performed New Construction Work For You? How Did We Do? Please Tell Us!